1. 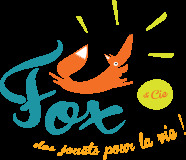 Terms and conditions applicable to the website www.foxetcompagnie.be by FOX & Cie SPRL. These terms and conditions are applicable to all transactions placed online with FOX & Cie SPRL. All contracts are governed and interpreted according to Belgian law, and any dispute between the Parties shall be under the exclusive jurisdiction of the Belgian courts. Nothing in these terms and conditions will be deemed to affect your legal rights. By using this site, you agree to these terms and conditions, and all transactions with FOX & Cie SPRL are governed by these same terms and conditions. Any reference to the “Company" or "we" is a reference to FOX & Cie SPRL. Any reference to the ‘Client' refers to the person or persons who buy or commit to purchase goods from the Company. Any reference to the website includes every URL belonging to FOX & Cie SPRL. All prices are shown in euros and include VAT at the current rate, unless otherwise clearly and precisely specified. The offers and prices charged by FOX & Cue are valid for as long as they are displayed, and within the limits of available stocks. All prices are subject to change without prior notice. You select the items you wish to order, and add them to your cart. On the shopping cart page, you can then click on the button “proceed to checkout.” In order to proceed with your order, you must login to or create an account on the Fox & Cie e-shopping site. Certain details will be requested in order to complete the processing of your order. You may choose your mode of delivery from among all those offered by Bpost, by filling in the required information. You will be informed, prior to final confirmation of your order, of all delivery charges applicable to your order, where appropriate. Your order will be valid only when you have provided this information, have read and accepted the general terms of sale, and have successfully paid for your order by clicking the order button with the word 'Pay', proceeding via our HIPAY provider’s payment system. The payment process is fully secure. The order can be changed at any time before final validation. Once the payment is made, you can print the details of your order and track its status on your personal account. An acknowledgement will be sent to you automatically by email, with the details of your order. The acknowledgment does not represent acceptance of your order by us: the acknowledgment only confirms to you that we have received your order. You will then be sent an email confirmation upon shipment of your products, with the delivery tracking link. The delivery of the products is what signifies acceptance of your order by us. Delivery will be made after only receipt of payment for the order. - a case of force majeure occurs. In the event we do not execute the order, the Customer will be informed as soon as possible. In case of payment of the transaction with a credit or debit card, your order is complete and the contract between us is final, only when we obtain the confirmation of the card issuer. We accept Visa, MasterCard and Maestro (Bancontact) from most major Belgian banks. We cannot be held responsible for delays in delivery and/or the lack of delivery of your order due to the refusal of the issuer of your card to make the payment. Orders that are not accompanied by a valid payment on behalf of the owner of the card will not be accepted or processed. In the event of payment of the transaction with a credit or debit card, your order is complete and the contract between us is definitive, only when our account is credited with your payment. To place an order, you must be at least 18 years old. If you are not 18 years old, please place the order through your parents or your legal guardian. We are entitled to refuse any order which we find that went through a minor. All goods and services are delivered to the address you provide when ordering. In the event the address that you entered is incorrect, it will be your responsibility, and may incur additional charges to be borne by you. via Bpack 24/7 at an automated distributor. During the ordering process, you will be informed of any applicable shipment charges. These are calculated definitively at the end of the order process, before the "Proceed to payment" step, and before the payment is processed by our service provider, HIPAY. The risks assumed will be transferred to you during the actual delivery of the product to the address you indicated. From that moment, we decline any responsibility in case of loss or destruction of the product. The products are delivered, as far as possible, within a period of 2 to 10 working days after the validation of the order. In the event we are unable to deliver within this period, we will inform you at the earliest opportunity. In no case will any delay result in any form of indemnity. In the exceptional event we are unable to deliver the order within 30 days from the date of validation of the order, you may cancel the contract of sale by contacting our customer service. The products ordered will be refunded in full (including shipping costs in the event you bore such a cost) within a period of 30 days. You must yourself ensure that the products are suitable for your needs and conform to your expectations. We do not guarantee that the products comply with your individual requirements. The products are standard and are not designed to measure. For any claim, you can contact our customer service. In the event the products are damaged during transport or the delivered goods are different from the products ordered, you are required to report this to us as soon as possible, and in any case within 3 days, by contacting our customer service. We are not liable for any indirect damage caused by late delivery or failure to deliver by Bpost. In this case, our liability is limited to the value of the items for which it is proven that they were not received by the customer. Pick-up in store: You can also collect your products in the FOX & Cie shop of your choice, free of charge. These will be reserved in your name for 7 business days starting from the moment they are shelved in the store of your choice. The payment will be made directly in store. Our shipments are always carried out at our risk. So you don't have to worry if goods are lost in the post. However, if you return goods within 14 days following purchase, because you don't want them, you are then responsible for their return shipment. We are devoted to ensuring you are completely satisfied with every purchase made from the FOX & Cie website, and we do our best to offer quality items and service at all times. On presentation of the return slip, the customer returns the item free of charge in the FOX & Cie store of his or her choice. The customer can choose to do an exchange, receive a coupon valid in-store, or even ask for a refund. In the case of a full return for a refund, we will refund the total amount of the order as well as the delivery charges. In the case of a partial return for refund, delivery costs remain payable, and we will only refund the amount of the returned items. In any case, articles must be returned to us in their original state, with their labels, and in their original packaging, within a period of 14 days from the date of delivery. In the case of an online return via Bpost, the return costs will be your responsibility. A refund or return for an online coupon are the two possibilities that are available to you. To complete the return, you must fill in the information requested on the return slip and insert this return slip with the items in the package. The return slip may be obtained on simple request at the following address: benjamin@foxetcompagnie.be or FOX & Cie - customer service, Bd de la Woluwe 70 (Box 47), 1200 Woluwe-Saint-Lambert. In the case of a complete return for a refund, we will refund the total amount of the order, as well as the delivery charges. In the case of a partial return for refund, delivery costs remain payable, and we will only refund the amount of the returned items. The refund will be made within 14 days of receipt of the returned items and will use the same payment method as that used by the customer for the original transaction. If you wish to exchange an item, a voucher for the value of your item will be sent upon receipt of your return, so that you can place your order. You won't incur any new delivery charges in the case of a partial return. The coupon can be used for any purchase of at least the same face value as the coupon. In any case, articles must be returned to us in their original state, with their labels, unworn, and in their original packaging, within a period of 14 days from the date of delivery. Unless otherwise indicated, the products are sold by the individual unit and are not always available. In the event one or more items are unavailable at the time of the order, it will be unfortunately not be possible to fully honour the order. We always describe as completely and accurately as possible what we sell and how the order process unfold. The description is always sufficiently detailed to allow you to evaluate it properly. If we use illustrations, they accurately represent the proposed articles. However, to err is human, so if it becomes clear that we are wrong, we are not required to provide you with an article that corresponds to the illustration. FOX & Cie ensures the intact condition of the product during its delivery and its compliance with the information from the manufacturer. The use of the product must follow the instructions published by the manufacturer, as described in the product description. You must ensure that you use the product in accordance with these instructions. We make every effort to deliver products in perfect condition. However, if you report that the product is defective, you agree to keep the product in its current state so that we can review it within a reasonable time. We request your assistance and certain information related to the product, including details as to the manner in which the product appears to be damaged or faulty, and in sending us the completed delivery slip along with other necessary information, in order to provide a quick solution for the defective product. In the event we find that the product has been misused, or has suffered abuse or neglect, including accidents, damage resulting from an attempt to change or repair, the damage caused by normal wear and tear, or any other improper action related to its use, as defined by the manufacturer, and that this has occurred after delivery, then Fox & Cie reserves the right to not replace or reimburse you for the product. We guarantee that our goods comply with your order and that they meet the normal expectations you may have, given the specifications of the product. We guarantee you also, of course, that our goods comply with all the laws in effect at the time of your order. Regarding the delivery of goods, we also apply the minimum warranty period of two years if the goods are not compliant with the order placed. This guarantee implies that all things which present flaws or defects will be repaired or replaced free of charge up to 2 years after delivery. Where possible and reasonable, you have the choice of repair or replacement. You have the right to demand a price reduction, or the termination of the contract of sale, only if the repair or replacement is impossible or excessive, or alternatively if it cannot be done within a reasonable time. Any flaw or defect which manifests itself in the 6 months following delivery is deemed to have existed prior to the delivery, unless we are able to prove the contrary. Beyond 6 months, the burden of proof that the defect existed before delivery shall fall to you. You have the right to cancel your order within 14 calendar days from the day following the date of delivery, for any unused item purchased through the website, in accordance with the regulations applicable to the telesales regarding refunds. This does not apply to personalised or tailor made items fitting your personal specifications. To cancel an ordered item, you can send us an e-mail with your customer number and the order number (benjamin@foxetcompagnie.be). You must take proper care of the articles, keep all original packaging, and refrain from using them. The goods must be returned to us within 14 days of your cancellation notice. The goods may be returned to our customer service (see Contact information). The goods are returned at your expense, unless articles have been deemed defective or incorrect, in which case we will refund your shipping upon the receipt of the goods. Provided that the goods are returned to us intact, in their original packaging, with all accessories, you will receive a refund within 30 days of your cancellation notice. We cannot be held responsible for failure to comply with our obligations where such failure has been caused by, or results from, labour conflicts or any other circumstances beyond the reasonable control of the company, such as fortuitous events, riot, popular movements, floods, fires, strikes, lockouts, a difficulty in obtaining transportation, or a legislative act. If any of these circumstances prevents the Company from delivering within a reasonable time all or part of the items ordered, the customer's responsibility is limited to the value of the provided items and delivery charges that are associated with it. Any information posted on our website(s) or other materials printed by the company may not be regarded as authoritative or certified as being best practice, and should only be considered as useful additional information beyond other certified codes of good practice. All the information on our website is updated on a regular basis. Prices and specifications are checked to the best of our abilities, and while every effort been made to ensure accuracy, no responsibility can be assumed for errors and omissions. We reserve the right to change our prices and our specifications without prior notice. All items delivered to the customer remain the property of the FOX & Cie SPRL. until the final and full payment of all sums due for these goods. Any complaint, or a compliment, can be sent to our customer service (info@foxetcompagnie.be). We will endeavour to deal with your complaint within 5 working days of its receipt. In the event we are unable to provide an immediate solution to your claim, we will notify you of the time likely to be needed to solve the problem, and we will keep you abreast of any investigation. Company registered at the Banque-Carrefour des Entreprises under number 0551.965.335 and in the registry of Commerce of Nivelles with the VAT number BE 0551.965.335. Our website, our logos, texts, photos, names, and, generally speaking, all of our communications, are protected by our intellectual property rights, or those of our sub-contractors or other right holders. It is prohibited to use and/or make changes to the intellectual property rights described in this section. It is therefore prohibited to copy or reproduce any drawings, pictures, texts, logos, colour combinations, etc. without our prior and express written authorization. By consulting and submitting content on our site, you agree to comply with all the terms and conditions of these rules. If you buy products, you have 14 days from the date of delivery to decide you do not want to keep these products. In this case, you can return the order without having to pay any fine or explain your decision (return costs will be at your charge). If you return your order or wish to withdraw from the contract within 14 days following your order, we will refund the full purchase price, using the same payment method as the one you used. The direct costs of the return of the goods are thus at your expense. We will notify you of the cost of the return or, if it is not reasonably possible to determine this beforehand, give you an estimate. If it is impossible to return the goods by post, we invite you to return your purchase without charge in one of our stores. We have a right to wait to have recovered the goods, or for you to have proved you have returned them, according to one of these two events, whichever comes first, before proceeding with the refund. During the first 14 days following delivery, we expect you to treat the order, and its packaging, with care. If you wish to return the goods in accordance with the procedure described above, you can unpack or use them only to the extent necessary in order to assess whether you want to keep the property. The returned goods may have been tried, but not used. To the extent possible, the returned goods must be replaced in their original packaging and accompanied by all of the supplied accessories. They must be in their original state and their original packaging, given the instructions below. You can return the package by Bpost or drop into one of our stores. To exercise your right of withdrawal quickly and correctly, you must notify us at FOX & Cie, Boulevard de la Woluwe 70 (box 47) - 1200 Woluwe-Saint-Lambert, 0032 (0) 2.763.16.82, info@foxetcompagnie.be, of your decision to withdraw from the contract, by means of an unambiguous statement (for example, letter sent by post, fax or e-mail).